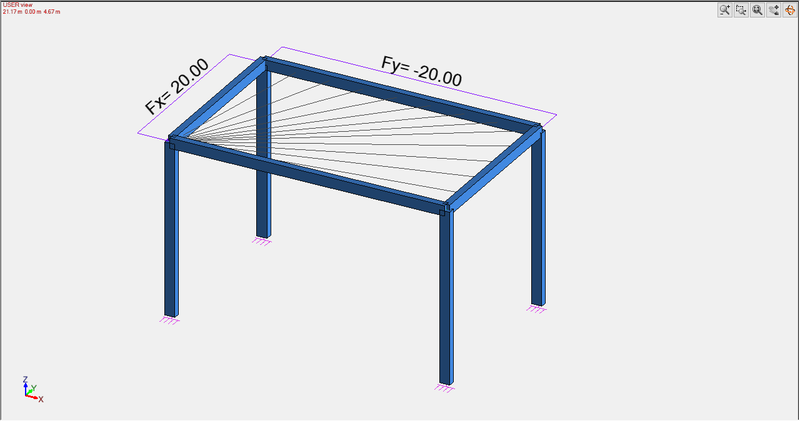 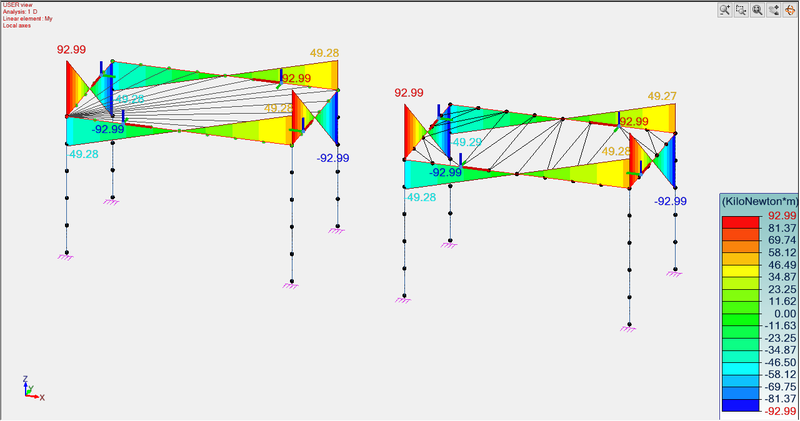 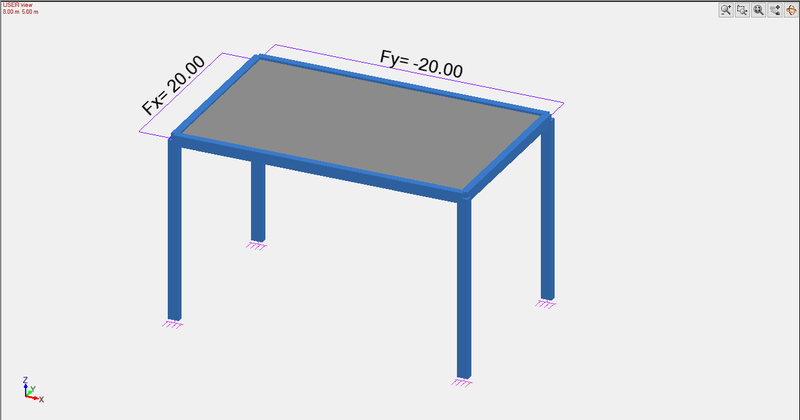 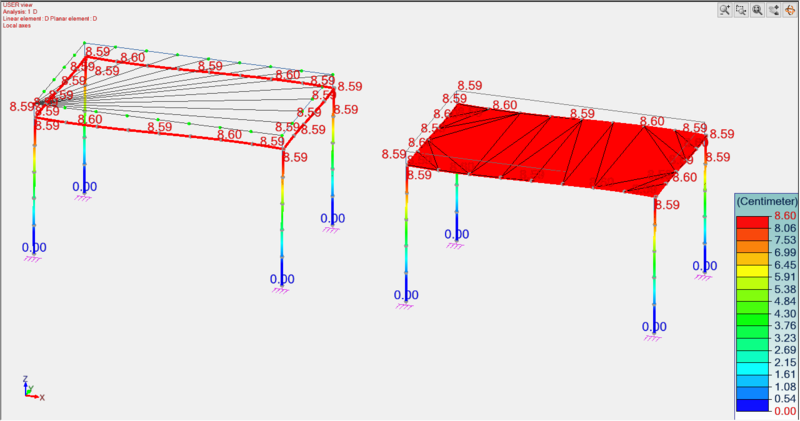 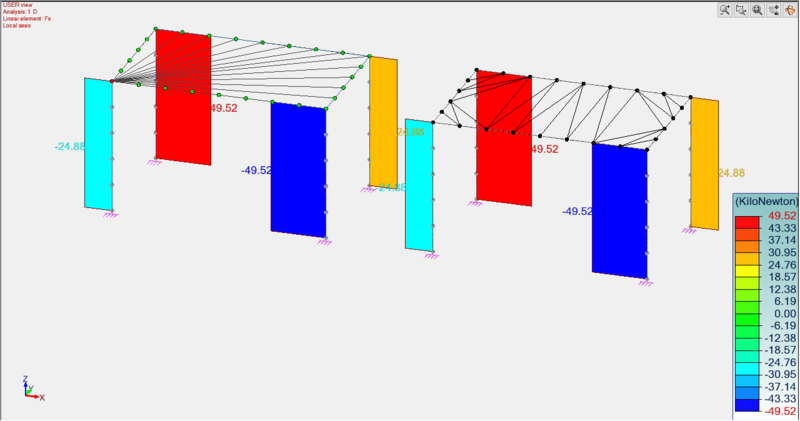 In order to simulate the membrane effect in a structure in Advance Design, “DOF (Degree of freedom) constraint” object can be used with the Tx and Ty translations restrained. 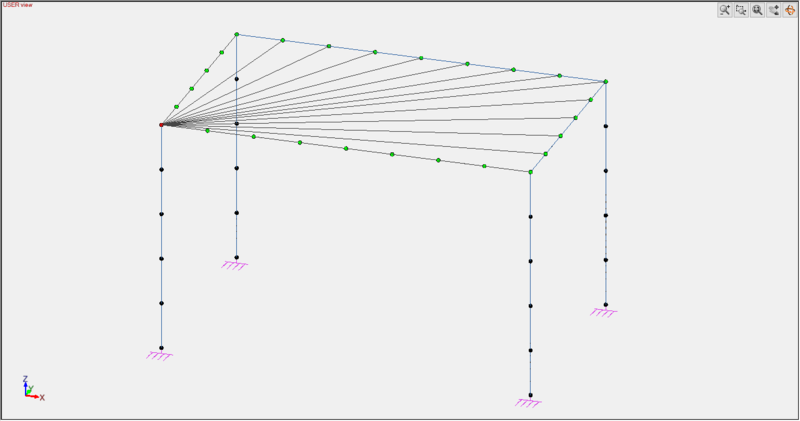 DOF constraint object is also named as Master-Slave connection. 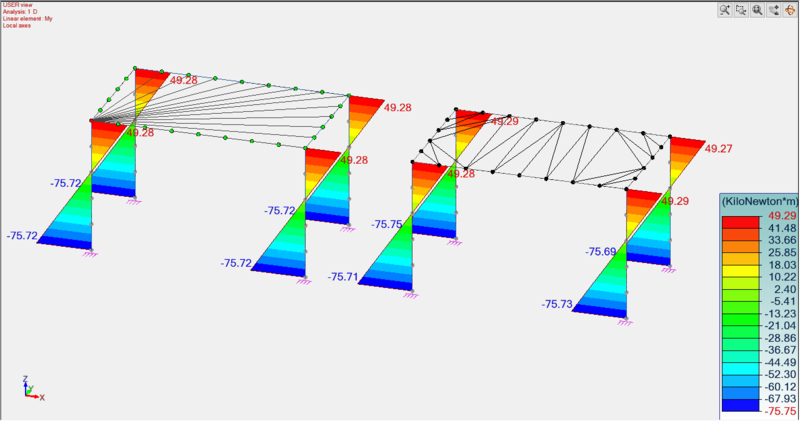 For example, the response of the DOF constraint is compared with the response of a membrane in a simple 3D structure subjected to lateral loads. 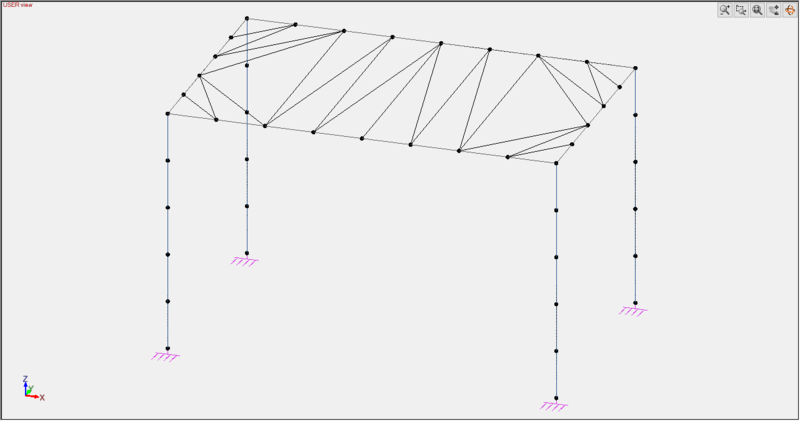 In this model, the elements’ self-weight is not considered.